Los Willows - Oceanside and Fallbrook Locations - San Diego Awning Cleaning at Its Best! Los Willows B&B is now ready for ‘White Weddings’. 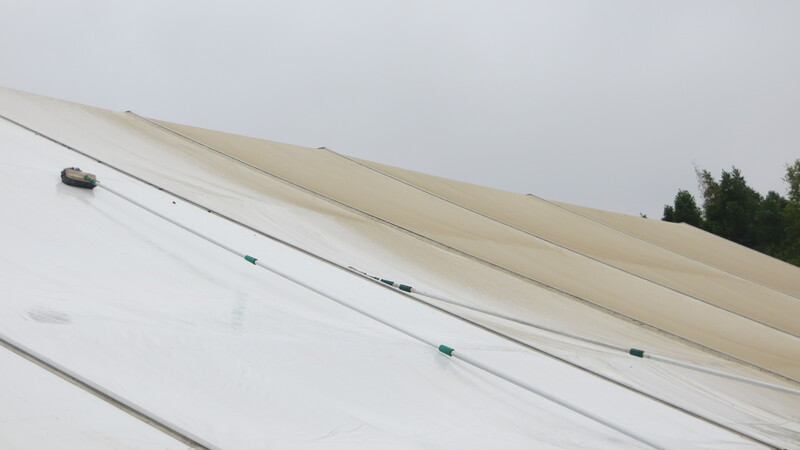 This popular event venue for weddings and other special events while sporting spectacular grounds and amenities, over time a substantial layer of dust and dirt and bird droppings had accumulated onto their Sunbrella awnings and vinyl event tents. Heavy soiling didn’t match the prestige of the overall site. Awn-Guard, was brought in to bring back the ‘white’ of their tents and help give a finishing touch to the property. With locations in Oceanside, CA as well as Fallbrook, CA Los Willows runs over 100 special events each year.